Athone is a residental part of the north west of the city. It's named after an Earl who resided as the Governor General during six years from 1940 to 1946. According to the most recent census numbers, development of the area started prior to the end of the Second World War. Approximately 7% of residences were built during this time. After the end of the war is when construction in the area really picked up. 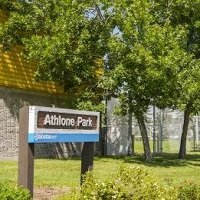 Over 50% of homes in Athlone were built during the twenty five years after. Development in the community experienced a lull from 1970 to 1990, but picked up since then with about 30% of properties in the area being built since 1990. Most of the properties in the area are of the single family variety, with over 80% of homes in Athlone being this style. Row houses account for about 15% of all residences, with the remaining 5% being duplexes. About three quarters of all homes in the community are owner occupied, with the other quarter being rental units. There are 3 school local to service the educational requirements of the local families. Wellington Junior and Athlone Elementary are administered by the public system, Sir John Thompson Junior is administered by the catholic system. Part of the Castledowns area of the north west of the city, Baranow is a primarily residential neighbourhood. It does have a tiny amount of properties designated for commercial use on the southern border. Development in the area happened in two primary stages, first from 1946 to 1960 then from 1996 to the present. Low rise condo and rental apartment buildings are the primary style in the neighbourhood, with almost three quarters of all residences being this kind. About two thirds of all the apartment units are rentals. The remaining 25% of homes in the area are primarily duplexes, with about 80% being owner occupied. In line with the amount of rental units in Baranow, about two fifths of the properties in the area have only one occupant. Only 15% of all residences in the area have three or more people living in them. The borders of the community of Baranow are 153rd Ave, 137th Ave, and 127th Street. When viewed from the air, the neighbourhood looks like a giant L.
Baturyn is a residential community in the north west of the city. Considered part of Castledowns, it provides it’s residents with east access to 97th Street which is a major through way north and south. This traffic artery also provides residents in this part of the city access to the Northern Alberta Institute of Technology. About 75% of all homes in the neighbourhood were built in a ten year span during the 1970’s. Just under 20% of all residences were constructed the decade after, and the area was considered fully developed shortly after. The largest portion of homes in the area are of the single family variety. About 70% of homes in Baturyn are this style. The remainder of the properties in the community are a mixture of row houses and duplexes. About 15% of homes in the neighbourhood are rental units, the other portion occupied by their owners. Baturyn Elementary educated the children of the community and is operated by the public school system, and there is also St Charles Elementary is administered by the catholic system. This neighbourhood is named after a castle in the United Kingdom, more specifically Wales. It’s in north west Edmonton, and it’s borders consist of 97th Street, 160th Ave, 153rd Ave, and Castledowns Road. Development of the community began during the 1970’s, when about a quarter of the properties were built. Approximately 50% of the homes in Beaumaris were built during the oil boom of the 1980’s. The rest of the properties were built during the 1990’s, with the neighbourhood essentially being fully developed by 2000. Nearly half of the homes in the neighbourhood are single family detached units. About 40% of all residences are apartment units, both condo and rental. The remainder of the units are a mix of duplexes and row houses. A quarter of homes in the community are rentals, with the other three quarters owner occupied. Another community in the area named after a castle in Wales, Caernarvon is a residential community in the north west of the city. Part of the Castledowns area of this part of the city, over 80% of the development in the neighbourhood occurred between 1970 and 1990. 60% of the properties in the area are of the single family variety, according to the most recent census numbers. Row houses account for around 20%, and the remaining 20% are divided between condos, duplexes, and rental apartments. About three quarters of the homes in community are owner occupied. There are two schools in the area, Caernarvon Elementary is administered by the public system and Katherine Therien is administered by the catholic system. 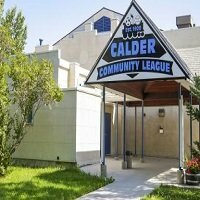 Calder is a community in the north west of the city, originally the land was owned by the Hudson’s Bay Company. When the city was settled, employees the pacific railway settled the neighbourhood. It was considered it’s own municipality up until 1917 when it became part of the city. The communities borders consists of 127th Ave, 127th Street, 132nd Ave, and 113 A Street. About 10% of the homes in Calder were built before the end of the Second World War. There are even a few properties left the were built before WWI ended. 45% of the residences in the neighbourhood were built in the 15 years after the Second World War. Approximately 35% of the properties in the area were constructed from 1960 to 1980, with the remaining properties in Calder built after that time. About 2/3’s of the properties in the community are single family homes. 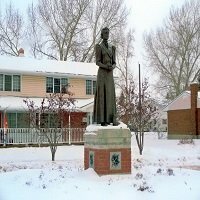 Canossa is a residential community in the north west of Edmonton, Alberta. Like most neighbourhoods in this area of the city, it’s a very popular destination for military families. The Canadian Forces Base is located nearby. It’s a newer part of the city, with about 70-75% of all residences built during the 1990’s. Approximately 85% of the properties in the community as of the single family variety. The other 15% are a mixture of row houses and duplexes. Over 95% of all properties in Canossa are owner occupied. According to the most recent census data, that median household income in the community is above the city average. Carlisle is a residential community in the north west of the city, named after a castle in England. The boundaries of the area are 137th Street, 121st Street, Castledowns Road, and 145th Ave.
About three quarters of all property in the community was built during the 1970’s. With most of the development already completed, building slowed down during the 1980’s with only 20% of the current residences built during this decade. A little over half the homes in Canossa are single family detached, with row houses making up a quarter of the inventory. Duplexes and apartment building make up the remainder. Just a little over two thirds of all properties in the area are occupied by the person on title. The community is relatively mobile, with just a little over 50% of all residents saying they’ve live in the area for more than 5 years. St Timothy Elementary educates children in the neighbourhood from kindergarten to grade 6, it is operated by the catholic school system. Located in the north west part of the city, Carlton is a great residential community. Considered very family friendly, the neighbourhood has a number of bike and walking paths for it’s residents. It’s borders consist of 167th Ave, 134th Ave, 153rd Street and 142nd Street. The western portion of the community is located close to an industrial park and an area of the city that is still predominantly farm land. Nearly 90% of the residential inventory in the community is detached homes perfect for family occupancy. The remaining 10% are duplexes. Overall around 95% of all properties in the neighbourhood are owner occupied. The population of Carlton is around 5500 residents with an average household income of approximately $65,000, which is above the city average. Chambery is a neighbourhood in the north west of the city known for it’s charming homes. 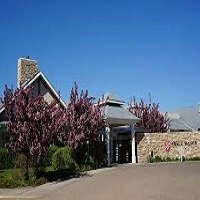 It’s considered part of the Castledowns district, and provides residents with easy access to downtown. It’s name is derived from a chateau in France. The borders of the community consist of 173a Ave, 112th Street, and to the north there in farm land that hasn’t yet been developed by the city. The military base is close by, making this a favourite community of the local army. There are many local amenities, including multiple schools, shopping centers, recreational facilities, grocery stores, and medical facilities. 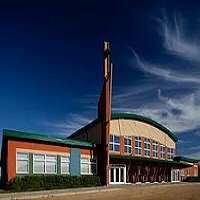 Chambery is a popular choice for families who choose to settle in this part of Edmonton. Cumberland is a newer area in the Pallisades district of the north west of the city. It became part of the city in 1982, and since then development in the area has blossomed. There is a retail area of the community that is home to many big box stores, including Best Buy and Homesense. According to federal census data, a staggering amount of the area’s development occurred during the 1990’s. Nearly 99% of all residences were built during this decade. Approximately 90% of all homes in the area are detached properties perfect for family occupancy. The remainder consists primarily of row houses. A little under 90% of all homes in Cumberland are occupied by the property owner. 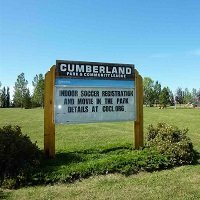 The median income per home in Cumberland is above the city average. 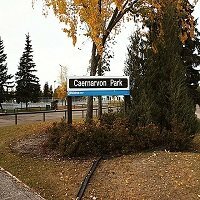 This area of Edmonton has been a part of the city landscape since before the First World War ended but did not being it’s development until after the Second World War. It’s part of the north west of the city and it’s borders are the St Albert Trail, 118th Ave, 142nd Street, and the Yellowhead Trail. Around seventy percent of all properties in the community were constructed between 1945 and 1960. The rest of the homes in Dovercourt were built in the 60’s when the neighbourhood was deemed completed by the city. A large percentage of homes in the community are of the single family variety, close to 90%. The remaining 10% are primarily row houses, with a few duplexes dotting the area. Only 20% of all residences in the area are occupied by renters. Named after a castle in the north of Ireland, Dunluce is a community in the Castledowns part of the north west of the city. The boundaries of the area consist of 167th Ave, Castledowns Road, 127th Street, and 153rd Ave. The primary stage of development in the area occurred from 1970 to 1990. Of the current residential inventory, about 50% are single family detached properties. The remaining half of the residences consist of duplexes, apartment buildings (both rentals and condos), mobile properties, and row houses. About 2/3’s of all units in the area are occupied by the person on title. Dunluce School educated the elementary aged children in the community and is operated by the public system. St Lucy Elementary is operated by the catholic system. Dunluce Square offers area residents a number of shopping options and amenities, and the neighbourhood also has the Castledowns Rec Center nearby for physical activity. 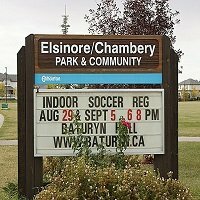 Located just on the southern perimeter of the Canadian Forces Base, Elsinore is a residential community on the far north west of the city. A large amount of the land around the neighbourhood is undeveloped countryside giving the community a very rural feel to it. 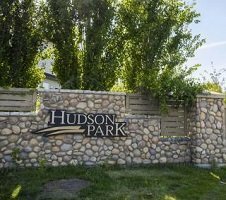 Easy access to 97th Street gives residents the opportunity for rapid transportation to the center of Edmonton. It’s one of the cities main roadways, and Elsinore residents can take it south to get to different places. There are a number of local amenities available to residents, including plenty of early child care options. 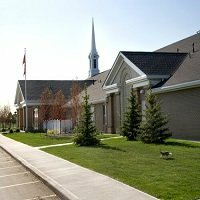 There are no schools within the neighbourhood boundaries, but there are both a Catholic and Public Elementary in nearby communities. Namao Center offers lots of different shopping options to residents. Essentially all of the homes in Elsinore were constructed after 1985. A little over 80% of all residences in the area are single family detached property units, with the remaining 20% consisting primarily of duplexes. Close to every home in the area is occupied by the person on the property title. Griesbach is a residential community in the north west of the city and is considered part of Castledowns. At one stage of it’s development it was property of the Canadian army. Now the city has bought the land and turned into an area to develop properties. About 40% of the homes in the area are detached properties. Row houses and duplexes split the remainder about 50/50. 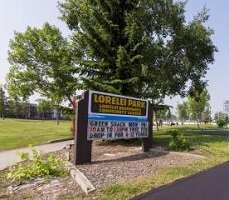 A little over 90% of all properties in the community of Griesbach are owner occupied. The boundaries of the neighbourhood are 97th Street, 137th Ave, 153rd Ave, and Castledowns Road. There is an elementary-junior school in the area to educate children from kindergarten up to grade 9. Plenty of shopping and services are available nearby, giving the residents access to a number of pertinent amenities. The community is a relatively new part of the north west of the city. Almost 80% of all properties in Hudson are single family detached homes, with the other 20% consisting primarily of duplexes. Almost every single residence in the area is owner occupied. 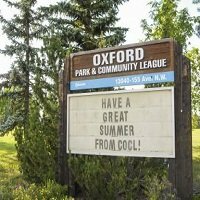 There are plenty of amenities available to local residents. A number of local shopping centers are nearby. 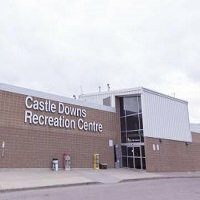 The local rec center at Castledowns offers the community access to fitness facilities and organized sports. McArthur Elementary is nearby and offers education to children from kindergarten to grade 6, it is operated by the public school system. 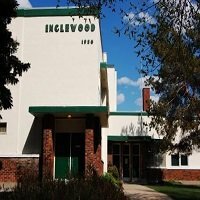 Sitting in the north west of the city just outside of downtown, Inglewood is a mature community. For 50 years until 1996 it was home to a hospital for residents, but this facility was closed down during the fiscal tightening under Ralph Klein. It’s borders consist of 111th Ave, a CPR right of way, 118th Ave, and Groat Road. A little over 10% of all homes in the community were constructed before the end of the Second World War. The large majority of properties in Inglewood were built from 1946 to 1990. There are many rental apartments available for residents in the area, approximately 70% of all homes in the area are this style of accommodation. Only about a quarter of the homes in the area are single family detached. 75% of all residences in the neighbourhood are rental units. The people in the area are a fairly unsettled bunch, with only about 30% of residents calling the community home for more than 5 years. 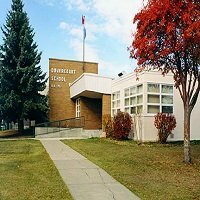 There are a number of child care options in the area, and Inglewood Elementary is there to handle the educational requirements of the children. Central to many great amenities, Inglewood offers a lot to those who chose to live here. Located in the north west of our fair city, Kensington was acquired by the city in early 1913. Development of the community did not being until after 1946. Approximately 25% of all properties in the neighbourhood were built in the 15 years after the war. In the 1960’s another 40% of residences were constructed. Building in the area tapered off until 1996, the rest of the communities homes were built after that time. About 2/3’s of all residences in the community are single family detached homes. Condo style apartments and rental units combined make up another 25 or so percent. The remaining properties are usually row houses. A little over 70% of all properties in the area are lived in by the owner of the unit. Kensington Elementary educates children in the community from 9 am to 3 pm and is operated by the public school system. There are many amenities available to local residents, child care facilities, medical offices, and shopping centers. Named after a local farmer who was the owner of all this land in north west Edmonton until around 1900, Lauderdale is a residential community. The borders consist of 113th Street, 127th Ave, 132nd Ave, and 97th Street. There are a number of shopping centers nearby for the residents of the area to take advantage of. Rosslyn, Killarney, Calder, Kensington and Glengarry are all close by. The primary stage of development in the community began once the Second World War ended. About 40% of all residences in the area were built during the 15 years after the war. A third of all properties were built in the 60’s, and another 20% or so built the following decade. A sporadic amount of homes were built during the 80’s, and the neighbourhood was considered completed during that decade. Almost 60% of homes in the area are of the single family variety, with the remaining 40% made up of duplexes, low rise apartment buildings, and row houses. Between 55-60% of all properties in Lauderdale are owner occupied. Two schools educate the children in the community, one is operated by the public system (Lauderdale Elementary) and one is operated by the catholic system (Ecole Pere-Lacombe). There is also a state of the art fitness and rec center available to residents in the community. Lorelei is a residential area in the north west of the capital city, and it’s considered part of the Castledowns district. The borders of the neighbourhood consist of 97th Street, Castledowns Road, and 160th Ave. The army base is located due north of the area, which provides military members easy access to their work place. 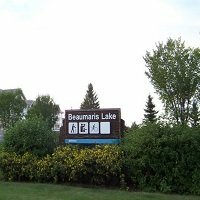 Eaux Claires, Beaumaris, Baturyn, Lago Lindo and Dunluce are all nearby areas. Primarily development of Lorelei happened between 1970 and 1990. Single family detached properties make around 55 percent of all homes, row houses account for about 30 percent, and the remaining 15 percent is divided between duplexes and low rise apartment buildings. Close to 75% of all properties in the community are lived in by the person on title. 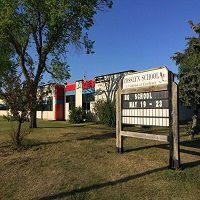 Lorelei Elementary is located with the neighbourhood boundaries and is administered by the public school system. There are also many child care facilities in the area for pre-school aged children. 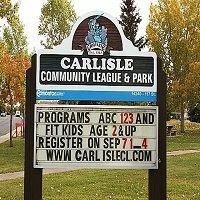 Many recreation opportunities exist for local area residents. Amenities are conveniently located throughout the community. Conveniently situated in a fantastic part of the north west of the city, Oxford is considered part of the Pallisades area. It’s a fairly new neighbourhood, building started in the latter part of the 80’s. Carlton, Dunluce and Cumberland are all neighbouring areas. Over ninety percent of all homes in the community are detached properties for families. The other ten percent are duplex units. Approximately 88% of all residences in the community are owner occupied. The borders of the community consist of 167th Ave, 132nd Street, 153rd Ave, and 127th Street. Lorelei Elementary is located close by, and there are two schools operated by the Catholic system as well for children in the area. There are also a number of child care facilities in the neighbourhood, and plenty of local amenities. When viewed from the air, the community of Pembina looks like a giant U. It’s a mostly commercial neighbourhood with a smaller percentage of homes in apartment buildings. Almost all the residences were built during the 90’s are most of them are rental units. Hudson, Wellington and Baranow are all nearby. The borders of the neighbourhood are 142nd Street, 137th Ave, and 127th Street. 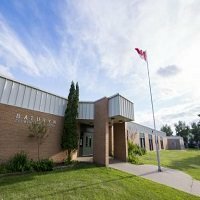 The closest school to Pembina is McArthur Elementary which is administered by the public school system. There are a number of amenities and opportunities for residents of the area making the community a great option. Named after the heir to the throne of England, Prince Charles is a residential area in the north west of our fair city. The borders of the neighbourhood are 127th Street, 118th Ave, the Yellowhead, and 121st Street. Sherbrooke, Inglewood, and Prince Rupert all border the area. The community was made officially part of the city in 1905 and some of the homes in the area were built between then and 1945, about 10-15%. The majority of the development in Prince Charles occurred in the fifteen years after the war. Around 80% of all residences are detached homes perfect for family occupancy. Duplexes account for about 15-17% of all property inventory, with low rise apartments making up the remainder. About 2/3’s of all the homes in the community are owner occupied. There are a number of local amenities in the area. 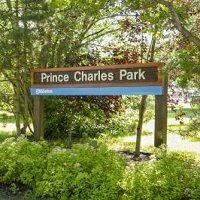 With Prince Charles being relatively central, residents have easy access to downtown and the west end. Kingsway Mall is close by for shopping, and there are a number of grocery stores within walking distance. Rosslyn is a community in the north west of the city, and primarily consists of residential properties. There are plenty of shopping options nearby, making this neighbourhood a great option for local residents. Glengarry, Kensington, Griesbach and Lauderdale all border the community. The borders of the area are 97th Street, 113th Street, 137th Ave, and 132nd Ave. About a third of all properties in the community were built in the 15 years following World War II. A little over half of all homes were built during the 60’s, with the community completing it’s development during the 70’s. Close to 75% of all properties in the area are detached homes. Rental apartments and row houses make up the remaining 25%. Approximately three quarters of all residences are occupied by the person on title. Scott Robertson Elementary and Rosslyn Junior are located in the community and are operated by the public school system. There is also a privately funded school with the neighbourhood, Choice for Change is a school for both junior and senior aged teenagers. Sherwood is a residential community in the west of the city. Like many areas in this part of Edmonton it used to be part of the town of Jasper Place. It’s a pretty small area in terms of overall size, and it’s borders consist of 95th Ave, 149th Street, 92nd Ave, and 156th Street. Dovercourt, Prince Charles and Inglewood all border this community. About half of the area’s development occurred in the 15 years after World War II when the soldiers came home. About 2/3’s of all residences in the community are single family dwellings, with low rise apartment buildings making up the bulk of the remainder. There is a small number of duplexes in Sherwood as well. Almost 60% all all housing units in the neighbourhood are owner occupied. 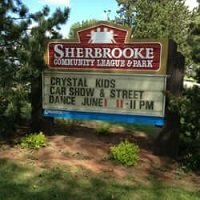 Residents have great access to a number of shopping centers nearby, and there is a elementary school that gets it’s name from the community but it actually located within the neighbourhood just north of Sherwood. 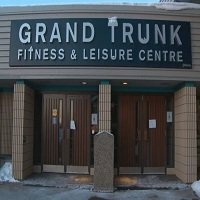 A residential community in the north west of the city, Wellington is well known for the community center that bears it’s name. 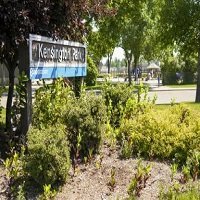 The borders of the area consist of 127th Street, 141st Street, 137th Ave, and 132nd Ave. Athlone, Kensington and Hudson are neighbourhoods that are nearby. The largest portion of development in the area happened in the 15 years after the Second World War, when about 2/3’s of all properties were built. Another 25% of the homes in the area were constructed during the 60’s and the community was considered finished by 1970. About three quarters of all homes in Wellington are single family properties. Row houses, duplexes, and low rise apartments make up the other quarter. About 80% of the local inventory is owner occupied. McArthur Elementary is local to the area, it’s operated by the public school system. St Angela Elementary and Sir John Thompson Junior are also nearby, they are operated by the catholic school system. The Junior High that bears the communities name actually isn’t within the technical borders of Wellington, but it is on the other side of 127th Street. 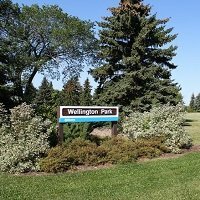 There are quite a few green areas in the community, Wellington Park and Albert Nikel Park offers residents in the area year round recreation opportunities. Woodcroft is a residential community in the north west of our fair city. It’s surrounded by a number of different residential neighbourhoods and industrial areas. The borders consist of 111th Ave, Groat Road, 118th Ave, and 142nd Street. The communities of Dovercourt, Inglewood, and North Glenora all border the area. 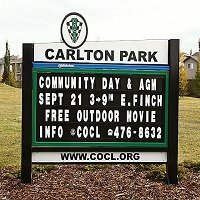 Coronation Park is local to Woodcroft and takes up a large portion of the communities area. 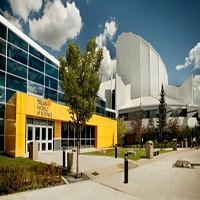 It’s home to lots of fun activities, including the Telus Science Center, a large recreational swimming pool, ice rink, lawn bowling field, and even a tiny football arena. Ross Sheppard High is located in the community, it’s administered by the public school system. Two elementary schools educate the children in the area from kindergarten to grade 6, one is operated by the public system one by the catholic system. There is also a library branch for those who like to borrow books.